When it comes to offering high-end specs for low prices nobody does it better than OnePlus. 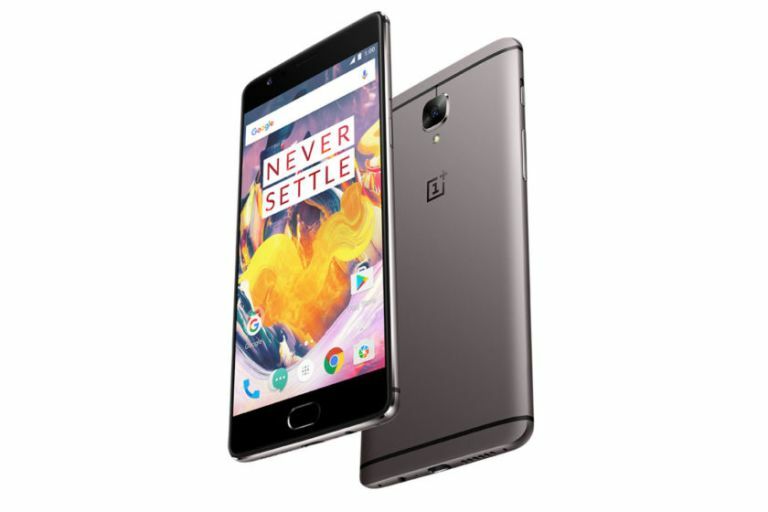 With the new OnePlus 3T, the specs-to-price ratio has certainly impressed. The phone is made with anodised aluminium, weighs in at 158 g, features 4G LTE, USB-C, dual nano-SIM support and a 3.5 mm audio jack. OnePlus 3T runs Android 7.0 Nougat with the Oxygen OS, which was originally designed around Android Marshmallow, skinned over the top. That should mean customisable quick access icons in the status bar, resized app icons, Ambient Display mode, custom icon packs, Night Mode, accent colours and more. The OnePlus 3T comes with a 5.5-inch 1,920 x 1,080 display. Thanks to it being AMOLED that should be plenty bright and with rich colours on that 401 ppi resolution. Plus it’s encased in Corning’s Gorilla Glass 4 for protection and features a super minimal bezel. Both the front and rear cameras on the OnePlus 3T are 16MP and the handset comes with 64GB or 128GB of internal storage. Keeping that all chugging along will be a 3,400 mAh battery that works with Dash Charge. This means you should have enough power to last a day from just 30 minutes of charge. Now why not read the OnePlus 3 tips and tricks feature here?